The NHS reaches the grand old age of 70 this summer, having first opened its doors on 5 July 1948. Plans for this special milestone for one of the UK’s most cherished institutions are already in hand, with events planned up and down the land to celebrate its successes. The NHS can’t take things easy in its old age, however - in fact it’s the baby boomer generation born in the same post-war period which is now putting unprecedented demand on the health service, as well as a growing population of people living into their 80s and 90s. Meanwhile, the pharma industry is hitting new heights in drug innovation, including cures for diseases such as hepatitis C, haemophilia and huge progress in cancer and cell and gene therapy - but all at a cost. Precision medicine, artificial intelligence, digital tech and genomic research are also all predicted to transform healthcare in the next decade, and public expectations won’t allow the NHS to stand still. Against this background, solving the problem of how to make the NHS sustainable for the next ten years - let alone the next 70 - is a very present question in 2018. With growing waiting lists and deepening Trust debts, talk of a ‘crisis’ is far from idle. NHS England’s chief executive Simon Stevens is taking growing control of its future direction - and he has vocally called for more funding from Theresa May’s government. 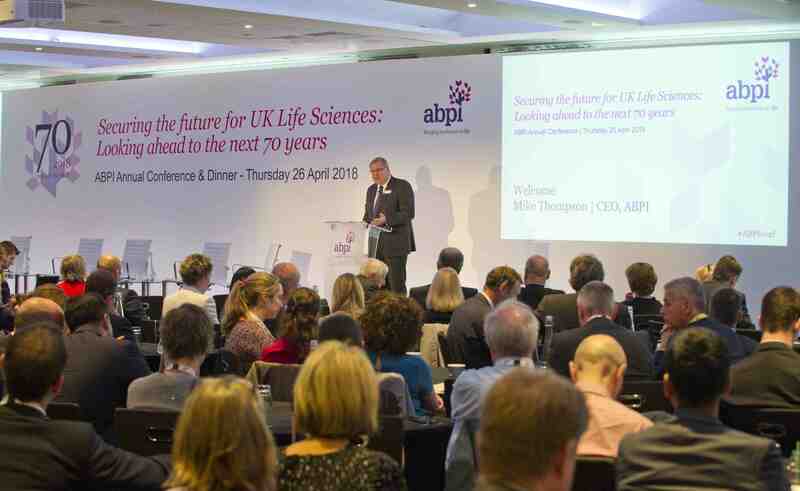 Stevens was the star turn at the ABPI’s annual conference in London in late April, and skilfully balanced talk of greater NHS-pharma partnership with warnings of a tough line on prices and value for money. NHS England will play a big role in talks to renew the Pharmaceutical Price Regulation Scheme (PPRS) - formerly a simple two-way conversation between the Department of Health (representing all the UK) and the ABPI. He reassured the industry audience he would engage in talks in “good faith”, with the goal of seeking a “triple win” for the industry, NHS and patients. over drug prices, Stevens played down the suggestion of an adversarial approach. A very current illustration of this is an ongoing row over the price of Vertex’s cystic fibrosis treatment Orkambi. While the drug is an undoubted breakthrough in the disease, NHS England says the company needs to lower its prices before it can allow routine use on the health service. Stevens said he believed there was still a need for an overarching UK pricing agreement, such as the PPRS, but NHS England’s role as the gatekeeper for new drugs - especially the high cost, specialist medicines emerging from pipelines - is here to stay. It’s no coincidence that the UK pharmaceutical trade organisation, the Association of the British Pharmaceutical Industry (ABPI), was formed in the same year as the NHS: the industry came together to understand how to work with this new free-at-the-point-of-care ‘single payer’ system, which remains exceptional among the world’s healthcare systems. While the PPRS provides a UK-wide framework on prices, each of the home nations (England, Wales, Scotland and Northern Ireland) has its own devolved budgets, and regional hospitals and systems also negotiate confidential discounts on medicines. This, and near-perpetual reform, continues to confound industry/NHS understanding. In this NHS flotilla sailing into the future, there is undoubtedly a flagship: Greater Manchester. Given devolved powers by Westminster two years ago, the region is pioneering integration of health and social care for its population of 2.8 million, a model that NHS England believes is the only way of making services sustainable in the long term. Showcasing their progress so far were the region’s leaders, including Jon Rouse, chief executive of Greater Manchester Health and Social Care Partnership, and Ben Bridgewater, CEO of Health Innovation Manchester. Greater Manchester (GM) is looking to harness data and digital tech to help it tackle some of the big public health problems in the region, with the aim of switching to prevention and early intervention to help control costs in chronic disease and emergency admissions. UK pharma is responding positively to the project, helped by a memorandum of understanding signed last year between industry bodies and the GM leadership. Ben Bridgewater says the region is offering a single point of contact for pharma, covering its entire population of 2.8 million, an ideal size for trying out outcomes-based contracts, which many pharma companies are already embracing. Commenting on the Salford Lung Study, a groundbreaking collaboration between GM and her company, GSK’s Alison Mursell said it showed the region was “research ready” and that the study was a new model for proving efficacy and facilitating market access to new medicines. It’s a cliché that Mancunians are proud of their city, but this was clearly on show, with the leaders confident they would be given the freedom to build on their achievement so far. While Greater Manchester is lifting spirits, there is no question that Brexit is proving to be a major headache for the NHS and the pharma industry. Both the ABPI’s chief executive Mike Thompson and Simon Stevens wanted to play down the risks and uncertainties of Brexit. Stevens said EU nationals made up just 5% of the health service workforce, and therefore wasn’t as exposed to new immigration controls as other sectors. However there is no question Brexit is making the NHS recruitment crisis worse, as well as currently undermining the economy on which it depends for funding. Similarly, Mike Thompson (pictured above) delivered a rousing speech highlighting pharma innovation that didn’t allow Brexit to overwhelm the positive signals for the sector. “Whatever the outcome of Brexit, we’re going to be fine; we look to the future with positivity,” he told the conference. This confidence is supported by the UK’s world-class strength in early research, new initiatives such as the Cell and Gene Therapy Catapult, and the ambitious Life Sciences Sector Deal, that was unveiled last year. Nevertheless, Brexit does represent a huge risk for the life science sector and the UK as a whole. Mike Thompson told a Parliamentary committee last year he could see no upsides to Brexit: losing EMA membership, EU research funding and diminished access to scientific talent, and relegation as a launch market among the many likely downsides. “As we leave the EU, we are going to need to deliver a level of partnership with the NHS like never before,” AstraZeneca UK President and ABPI President Lisa Anson (pictured above left) said in her speech to the conference. The NHS and pharma industry ‘united’? This might be too much to ask for. However there are signs that trust is growing after years of doing business with each other, but rarely working together. Greater Manchester - not known for its clement weather - provides a sunny ray of hope that greater partnership working can forge a renewed and sustainable, integrated health and care system. Most crucial of all is the long-term funding settlement Theresa May is now promising to the NHS - likely to be timed as a birthday present when the NHS hits the big 70 in July. The size of this budget increase - and the strings attached - will play a central role in the continued health of both the NHS and the UK pharmaceutical industry.